Firstly I read Tana French’s ‘The Secret Place’. I’m now waiting for her to write a new book. I enjoyed this but perhaps not as much as some of her other work. The story is set in a boarding school so with the overtones of Mallory Towers in my head I set off on the journey. This time we revisit Frank Mackey through his daughter Holly - who attends the school where the unsolved murder has occurred. I found the story and excellent read but I was a little bit disappointed with the ending. Just a little. Just me? 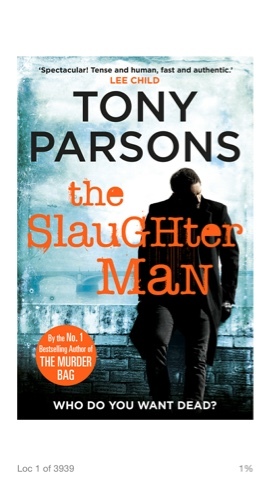 Secondly I read the second book from Tony Parsons in his new guise as a crime writer. I enjoyed it. It wasn’t too taxing with too many plot twists and turns to remember, the story trundled onwards interspersed with the development of his main character Max Wolfe. I think this series was set to be a trilogy but I imagine that if they sell well there could be more. For September I plan to read The Magpies – Mark Edwards and a huge number of craft books as I’ve just ordered 5 from Amazon’s second hand bookshop!! Joining in again with Laura.